Voice actor and home studio consultant Dan Lenard constructed this studio in his basement, sound-proofing the walls with acoustic foam (left photo), and equiping a compact workstation (right photo). Dan Lenard has watched the online, home studio voice-over industry explode since he began his voice acting business in 2004. With 32 years of experience behind the mic and in commercial studios, making the transition to a home-based voice-over business was a quick process for him. 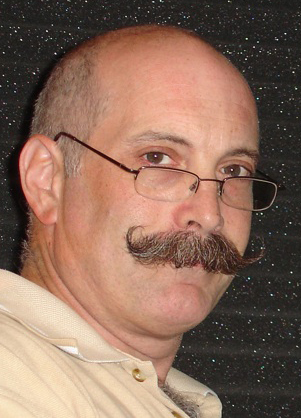 And now as an industry expert in home studio construction, Dan is a fee-based home studio consultant. 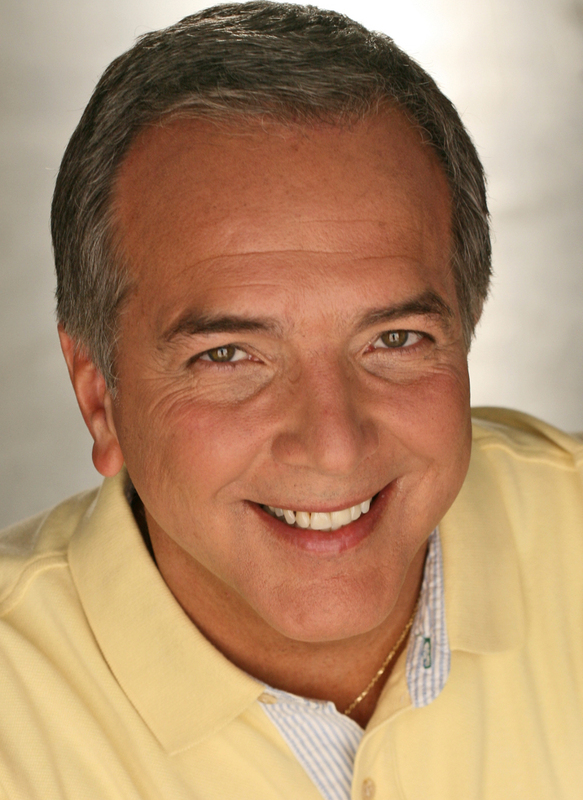 Cue in Dave Courvoisier, the voice actor and TV news anchor for KLAS-TV in Las Vegas, who enjoys blogging about home studios. "Who better than Dan to answer my questions about home studio basics?" Dave asks. The result follows: a wide-ranging Q&A with Dan, in which Dave believes "Everyone will find something to help improve their sound." Dan, would you agree that tomorrow’s voice actor should be equipped with their own private studio to be able to stay competitive in the VO industry? Dave, there is no question that a home studio is a must. While some big studio producers and agents may be slow to accept this fact, it is inevitable. The technology has simplified the process of creating broadcast-quality voice recording to the point where it is as easy as typing this answer and reading this interview. So to those of you reading this, I believe you already have the techno savvy to start getting your home studio together. All other considerations being moot - budget, equipment, etc.- what is the ultimate goal of the home/private studio in terms of sound quality? voice presence - without over-modulation. Those factors are fairly easy to control. Also, each studio is a unique environment and will have its own distinct “sound” depending on what mic you use, how you use it, and of course, how you, the unique voice that you are, use that voice. What is the “sound floor”? And what is an acceptable sound floor standard for a home/private studio? If you listen to a web audio of some guy on a headset mic explaining their software product, you’ll hear echo, room environment, other people in the background, and hiss or buzzing from an under-leveled mic. Noise floor is simply a measurement standard of that noise as opposed to your voice in the foreground. If you were to just record your studio using your mic without your voice, there would be ambient noise. The sound of your computer fan, the refrigerator, the garbage truck, the guy next door mowing his lawn and again, any electronically introduced noise like hissing, humming and buzzing. At SaVOA, the Society of Accredited Voice Over Artists, we use the broadcast standard of -40Db. So if you record your studio without your voice, and the background noise you record exceeds that level, that’s unacceptable. How do I eliminate that noise? It depends on the noise. Each has its own factors and solutions. Measuring is a matter of looking at the waveforms that you have recorded, or using software that has a constant readout of the audio level. Listening is also a good method. If you can hear that noise clearly under your voice, it's too much. When you’re approached by someone to consult on the building of a private/home studio, what are your first questions or considerations? What is the purpose of your studio? What kind of experience do you have recording any type of audio? What room are you considering using? Voice actors talk about converting available space in a closet or other small room into their home/private studio. Is this sensible? What questions should that person be asking before launching into such a project? Dave, any room in a house or apartment, except maybe the bathroom, can be used for your home studio. That said, each different room presents its own challenges. Will the answers be: the A/C furnace? Outdoor noises? Kids? Spouse? Your home studio has to be a designated area that everyone understands is “Off Limits” when you are doing your thing. If that is impossible, then consider another area. Look for a room that will be easy or easiest to isolate from the outside world. Offer your description of a bare-bones working studio - maybe even something that’s temporary for each session - including materials and cost. recording software that can be had for NADA! What? No preamps, racks of processors, a huge mixing board? What for? Are you producing the Goo Goo Dolls' next CD? No, you are recording single track mono audio. That’s it! You can also include a couple of quilts in lieu of fancy noise dampening material to start off with. Check your closet to see what you have. Is it the ambient room sound behind the mic or in front of the mic - or both - that needs to be dampened? There are two things you are trying to accomplish. Should a studio be constructed on the first floor? Second floor? Basement? Again, it depends on the factors we discussed earlier. If you have a basement, start there, as that will most likely prevent the most amount of exterior noise from reaching you. However, activity above you must be controlled. Your spouse or significant other and kids must learn to respect the fact that you are down there. The elephant herd heard above can be very frustrating. No basement? A small bedroom or a walk-in closet are your next choices. What’s your favorite sound dampening material, small AND big-budget? Small? A full closet and some down quilts. I once had a client tell me their closet used to sound great, and then, suddenly it sounded like they were in a tunnel. “Yes, a large coat,” and that solved it! More expensive? Auralex foam, which comes in a bunch of colors and isn’t cheap, but it also won’t break the bank depending on how you use it. There are a few other options as well, but that’s a whole 'nother article. Let's keep it simple. How many requests do you get for help with a mobile - on-the-road - studio? What do you suggest? Personally, I’m starting to believe - based on what we have available technologically - that there can be little difference between a simple, unobtrusive home studio and what you can take on the road. My good friend George Whittam at El Dorado Recording Services is marketing a great system that would be good on the road and at home. It is a system that was endorsed by the late, great, Don LaFontaine. Legendary VO guru Harlan Hogan also invented a great OTR thing called the Porta-Booth. Check that out. Tell us your short list of absolute “don’ts” when constructing a home/private sound booth. In other words, what are some of the common mistakes people make in building their own booths? People have been hiring contractors and knocking out a wall, and building a whole new wing to their house! I thought about it. And then I realized that if I want a sound-tight room or wanted to install a pre-fab “whisper room,” I’d have to shell out about $4,000 to $10,000! Or I could just wait for my neighbor to stop cutting his grass! Mrs. Lenard was very happy to hear that revelation. How does one keep an enclosed booth ventilated with noise-free fresh air for those long recording sessions? If you have a treated room instead of a “booth,” you should be fairly comfortable. The point is that you’re not on the studio’s clock! That’s the whole purpose of a home studio. You get hot. Take a break! Have a drink. Walk the dog. Rest your voice. This is the liberation of a home studio environment. A “booth” isn’t the point, because you don’t really need a booth. Look. I’m in my basement. It's always a constant 65 or 70 degrees down here. Its fab in the summer! I have an isolated area that is sound-treated, but this idea of an “isolation booth” is becoming moot. You can save thousands by using your time and patience instead of constant, expensive silence. Given plenty of room space, an able carpenter, all the necessary materials, a willing spouse, and a budget of no more than $2,000, can you describe the basic sort of sound booth you would love to build for someone? Nope. Every room is different. Everybody’s skill level is different. You can make a fine studio for under $2,000. But are you spending that money so you can say you’ve got a great studio to be proud of, or are you interested in getting up-and-running, doing auditions and high-quality audio in a few days or less? Brag a little. What are the two or three most recent studios you’ve built for someone that you’re proud of - because you met their needs within their budget? Actually, I don’t build studios. I can and have, but they don’t need to be built. They need to be assembled. If you can plug in a USB cable and isolate a room in an acceptable fashion, you’ve got all you need. The bottom line? If you’ve not done any recording, all the fancy stuff in the world won’t help you. I find the skill level of the client, I discuss a budget, I tell them to save their hard-earned capital and get them set up a with a basic system with components they can purchase online or retail locally. Then I teach them the basics of digital recording. I then send them to “go out and play” and learn their own style and proper parameters for their voice and home studio environment. I’m always available for questions after that, and for any tweaks that might be needed. I work a great deal with many of the magnificent Nancy Wolfson's students. Some of them are very experienced VO pro’s who haven’t learned to record - yet. I take them through the process we’ve been discussing. When they have learned the basics of recording to where they can competently put out broadcast-quality audio and start making money from home, or are getting studio work from home auditions, then they can invest in the higher-end stuff. That, of course, creates a new learning curve. 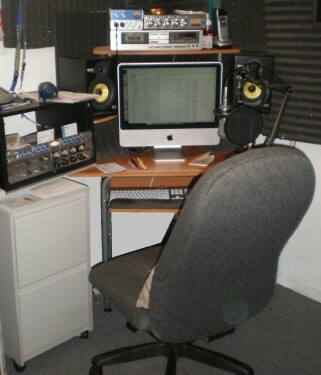 However, I believe that a simple, but high-quality home studio can be created with minimal expense. You just have to learn how to use it. Ok, so anyone can do this? OF COURSE NOT. Learn the skills of voice-over first. Get a good coach who offers so much more than just critique, like Nancy Wolfson. She has seminars and lots of other valuable resources - like me - to help you get on the right foot. If you are already an established pro, then it's time to take the plunge and not be intimidated by simple technology. It ain’t rocket science! For more about Dan Lenard and his services, visit www.homestudiomaster.com. Or contact him at dansvoice@roadrunner.com; 716-908-1501. Dave Courvoisier (“pronounced just like the fine cognac, only no relation”) is an Emmy Award-winning broadcaster, writer, producer, voice actor, and the main weeknight news anchor on KLAS-TV, Channel 8, the Las Vegas CBS affiliate. He also writes “Voice-Acting in Vegas,” a daily blog of adventures and observations in a style that’s true to his friendly Midwestern farm roots. HOME STUDIO EQUIPMENT: Top Brands ... Lowest Prices ... Fast Delivery ... at the VoiceOverXtra Store! This is great advice. I'm an actor, recently begun auditioning for audiobooks. I took the low road on my soundproof(ish) room. So, your notes are re-assuring. I prefer to spend an amount equal to what I know, which is very little--but at least I know that much.